The original product line Jon Renau introduced to the wig industry in 1985, tried and tested. 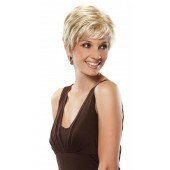 The Classic line provides many chic choices in both styles and color while remaining affordable. All short, medium and long Classic styles are a machine made adjustable construction with manageable memory fiber.